Is your go-to disinfectant actually safe for use, or are you unknowingly harming your health with your cleaning routine? Read on for what to consider when reaching for the bleach. Any number of events in our day-to-day can trigger a red alert—or perhaps a “code tissue”—as to when germs are nearby, whether it’s when someone in the grocery line ahead of you sneezes or your kid comes home with a note that says his classmate has caught strep, again. Before you run off to squeegee every inch of countertop in chlorine bleach for the second time this week, pause for a beat. The truth of the matter is that this favorite cleanser is not something that can just be used whenever, wherever. While harsh chemicals like bleach boast the ability to prevent illness or infection, many people often use them improperly. Before implementing them into your cleaning routine, you should be aware of and avoid a few potential hazardous practices. 1. Bleach doesn’t play nice with other household cleaners. First, never, ever mix bleach with either ammonia or acids, as either combination can result in toxic and even lethal gases. And many more products on the market and in your cleaning closet can also interact negatively with bleach: drain cleaners, glass and window cleaners, brick and concrete cleaners, dishwasher detergents, toilet bowl cleaners—that list goes on. When in doubt, never combine household cleaners. 2. If used improperly or straight from the bottle, bleach can be harsh on your system. Side effects might include irritation of the nose, throat, and lungs—any of which are especially damaging to a person with respiratory issues like emphysema or asthma. Additionally, the chemical could burn if it comes in contact with your skin or eyes, so take precautions to always dilute the product according to its bottle’s instructions and wear protective gear. 3. Watch out for overuse. No, more does not always amount to better; dousing surfaces with bleach to sanitize will not automatically rid your home of potential germs. A study published in the journal of Occupational & Environmental Medicine this year found that kids whose parents used bleach to clean the house weekly had 18 to 35 percent more risk of coming down with infections, particularly the flu and tonsillitis, as compared to the children in households without regular disinfection by bleach. While the results weren’t definitive—there were other factors still at play, like reports of household mold and/or passive smoking—this recent research raised interesting questions about good and bad bacteria and how a completely sanitized home might not be the best defense against illness. • Because it evaporates faster than water, rubbing alcohol works well for cleansing electronics that aren’t supposed to get wet, like phones, laptops, light switches, and TV remotes. Simply dip a cotton swab in it, shake off excess moisture, and run it along the hard plastic casing of these devices. 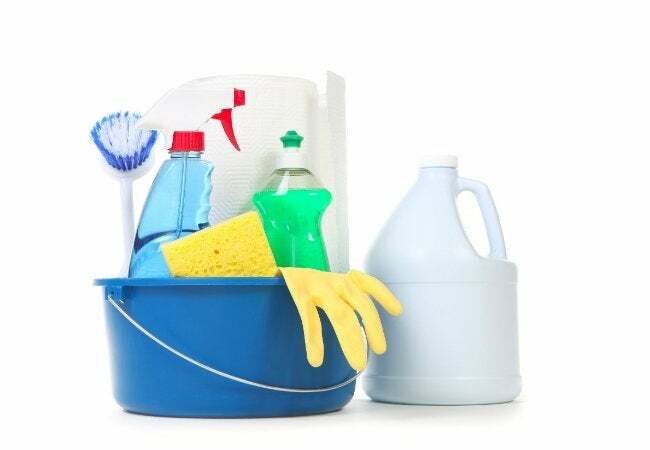 • Hydrogen peroxide also acts as a nontoxic surface disinfectant, especially good for items that may come in close contact with your food: sponges, cutting boards, refrigerator drawers, and even plastic children’s toys. 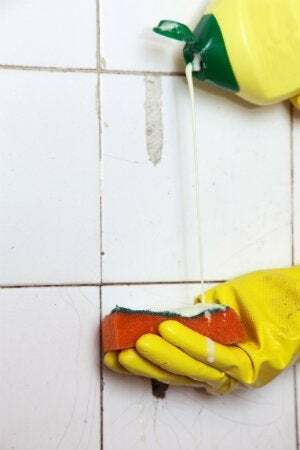 As you clean, be careful where you apply it; like bleach, it can discolor some surfaces and might also eat away at certain natural stone if left sitting too long. The key is to wipe the surface down with the cleanser, let it dry, and then wipe it down once more to be sure there are no leftover spots. • Soap, water, and elbow grease: Sure, it sounds basic, but giving a surface a thorough scrubbing with hot water and antibacterial soap will disinfect and kill harmful bacteria nearly as effectively as harsher chemicals. Just don’t skimp on energy during these chores! The scrubbing does the real work, breaking down bacteria and getting your standard disinfecting soap and water to do its job.